You will need Android Studio 3+ and Go 1.10.2+ installed on your machine. You should have some familiarity with Android development and the Kotlin language. Cryptocurrency is one of the hot topics today and as a result of this, many people have purchased many cryptocurrencies. However, the market is unpredictable and changes very often, so people tend to keep an eye on the changes in price of their asset. In this post, we will create an app that watches for changes in the value of cryptocurrencies in realtime and notifies the user when the changes occur. We will focus on two very popular cryptocurrencies - Bitcoin and Ethereum. When we are done, your phone will receive a push notification when the value of Bitcoin and Ethereum either exceeds or goes below a value you specify in the settings of the app. Android Studio installed on your machine (v3.x or later). Download here. Go version 1.10.2 or later installed. SQLite installed on your machine. 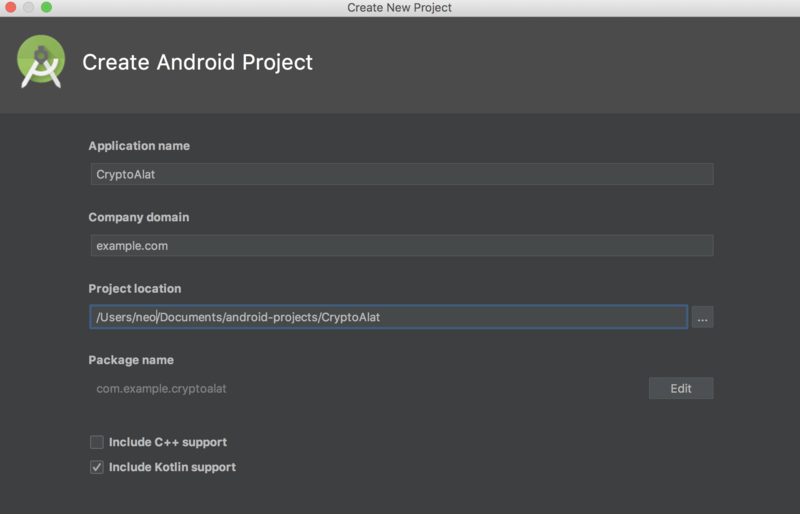 Basic knowledge on using the Android Studio IDE. Basic knowledge of Kotlin programming language. See the official docs. Basic knowledge of Go and the Echo framework. First, launch Android Studio and create a new application. Enter the name of your application, for example, CryptoAlert and then enter the package name. Make sure the Enable Kotlin Support checkbox is selected. Choose the minimum SDK, click Next, choose an Empty Activity template, stick with the MainActivity naming scheme and then click Finish. 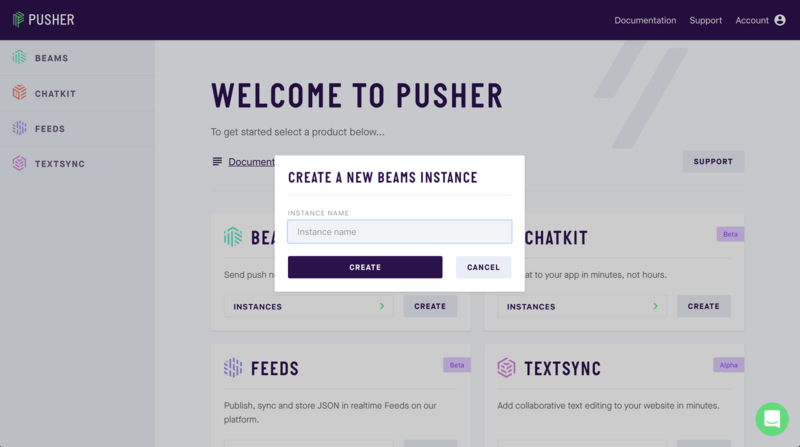 Since Pusher Beams relies on Firebase, we need an FCM key and a google-services.json file. Go to your Firebase console and click the Add project card to initialize the app creation wizard. Add the name of the project, for example, crypto-``alert, read and accept the terms of conditions. After this, you will be directed to the project overview screen. Choose the Add Firebase to your Android app option. The next screen will require the package name of your app. You can find your app’s package name in your app-module build.gradle file. Look out for the applicationId value. Enter the package name and click Next. You will be prompted to download a google-services.json file. Download the file and skip the rest of the process. Add the downloaded file to the app folder of your project - name-of-project/app. To get the FCM key, go to your project settings on Firebase, under the Cloud messaging tab you should see the server key. Next, login to the new Pusher dashboard. You should sign up if you don’t have an account yet. Open your Pusher Beams dashboard and create a new Pusher Beams application. After creating your instance, you will be presented with a quick-start guide. Select the Android quick-start. After you add the FCM key, you can exit the quick-start guide. Above we included Retrofit - a package for making network calls, and then the Pusher Beams package for sending push notifications. The additional Google services are dependencies for the Pusher Beams package. Sync your gradle files to make the libraries available for use. This file is used to by Retrofit to know the endpoints to be accessed. The first endpoint /btc-pref is used to set the Bitcoin limits. The next endpoint /eth-pref is used to save the Ethereum limits. The last endpoint /fetch-values is used to get the current values of the cryptocurrencies. Because there are major changes to push notifications in Android O, we checked for the Android version before handling the notification. If we are using Android O or newer, we have to create a notification channel that will be used to categorize the type of notification we are sending. This is particularly useful for apps that send different types of notifications. The layout contains two TextViews to show prices for Bitcoin and Ethereum. We also made these TextViews clickable so we can set limits to get notifications when the limits are surpassed. The URL used above, http://10.0.2.2:9000/, is the URL the Android emulator recognizes as localhost. Above, a network call is made to get the current Bitcoin and Ethereum prices in USD. When the response is received, we parse the JSON data and display it on the screen by setting the texts of the text views in the layout. Replace PUSHER_BEAMS_INSTANCE_ID with the instance ID found on your Pusher Beams dashboard. When any of the text views is clicked, we call the createDialog method which then opens up a layout for the user to input the limit. This dialog gets the minimum and maximum values and sends it to the backend server. This is done so that when the cryptocurrency’s price changes, we’ll get a push notification if it is within the limits set. In the saveBTCPref and saveETHPref we attempt to send the limits set by the user to the API so it can be saved for that user. That’s all for the application. At this point, the application should build successfully, but, not function as intended. In the next part, we will build the backend of the application so it can work as intended. In this article, we have learned how to use Pusher Beams to notify users of changes to a cryptocurrency. You can find the repository for the application built in this article here.